Kinect Xbox 360 became the highest selling gaming console in the US last year. 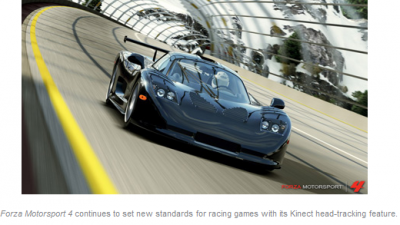 Microsoft has an eye on the top spot in the gaming industry this year. They have every reason to believe that they will succeed in this dream – to live it and cherish it. I too believe that they can do it, beating all counterparts in the industry with the bunch of updates for the Xbox Live which they announced at Electronic Entertainment Expo (E3). Voice Search: You can search movies, games,music and TV shows just by the sound of your voice. 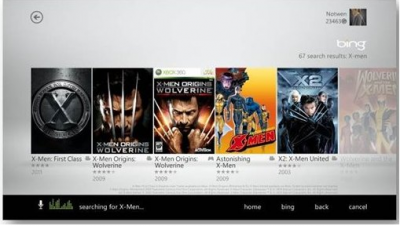 Bing Integration: With Bing on Xbox and Kinect for Xbox 360, you can effortlessly find the games, movies, TV shows, sports and music you want. You say it, Xbox finds it. Enhanced Commitment for Live TV: Microsoft has partnered players like Sky in UK, Canal+ in France and Foxtel in Australia. Microsoft is teaming up with Ultimate Fighting Championship (UFC) to bring the depth of the world’s best mixed martial arts programming to Xbox LIVE. Users will be able to search using their voice. Partnership with Hulu Plus, Netfix and You Tube: Users will be able to search thousands of movies and TV shows from the expansive catalog. New Avatar Market Place for Windows Phone: You have more options to customize your Avatar with a wide range of props and clothing right on your phone. Games You can’t Miss: There are a lot of games which have been announced. They are Call of Duty: Modern Warfare 3, Fortza Motorsport 4, Halo:Combat Evovled Anniversary, Kinect DisneyLand Adventures etc. Kinect Fun Labs: Microsoft has amused the developer community also. 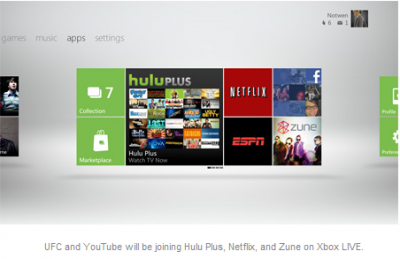 From 6th June, 2011 there will be a new addition at the dashboard: Kinect Fun Labs. 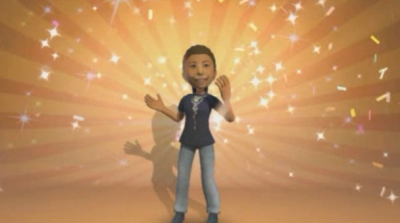 These little apps are available to anyone logged into Xbox Live and can do things like let you draw in 3D with your fingers, scan yourself in to create an avatar, or scan in an object and manipulate it on-screen. I hope you all are interested in checking out these new features out. This edition of E3 has given us a hint, that world well move away from the ‘i’ words towards the ‘X’ word!